September literally flew by, and I’m at the point of finishing up my final assessment for this course, and working on my critical reflection. But first I wanted to critically reflect on where I was in my own library space. I’m expanding the LibGuides to better resource our curriculum and to supplement the gaps in the curriculum. Because only I know how to use them, the progress is slow and on a “just in time” basis populating them rather than a nice methodical roll-out, but the reception has been great from both the students and the teachers. I’ve started showing it from Grade 3, and one of my Grade 5 pupils told me she’d spent an hour looking through the library Libguide before the lesson and “loved it”. My next foray into the digital sphere for this learning environment has been to accost all the teachers to try and get them to download the Destiny App to access our catalog from their mobile phones and iPads. The rollout to students will take a little longer as I have to apply to EdTech for permission to have apps loaded onto their iPads and that is reviewed and action taken only once a term. I have to mention something about the value of constraints at this point. Up to last Friday, more than 6 weeks into term, our library budget had not yet been approved and I had a bunch of kids whining that they were bored of the books and wanted new books. I’d been fiddling around with the reporting tool of our OPAC trying to do a bit of a collection analysis and see what I had of which levels, what was popular etc. and I discovered that we had about 500 books that had never ever been circulated. What was the matter with them? I got my staff to pull them all out. I started with nonfiction – about 150 books and put them all on my table with books overflowing onto the floor and invited teachers to come and have a look and see if we could put it in a unit of inquiry resource list or if it would be useful for anything. We whittled it down to about 20 books that are still homeless and unloved, but it was great as the books were “new to them” and hidden on the shelves. 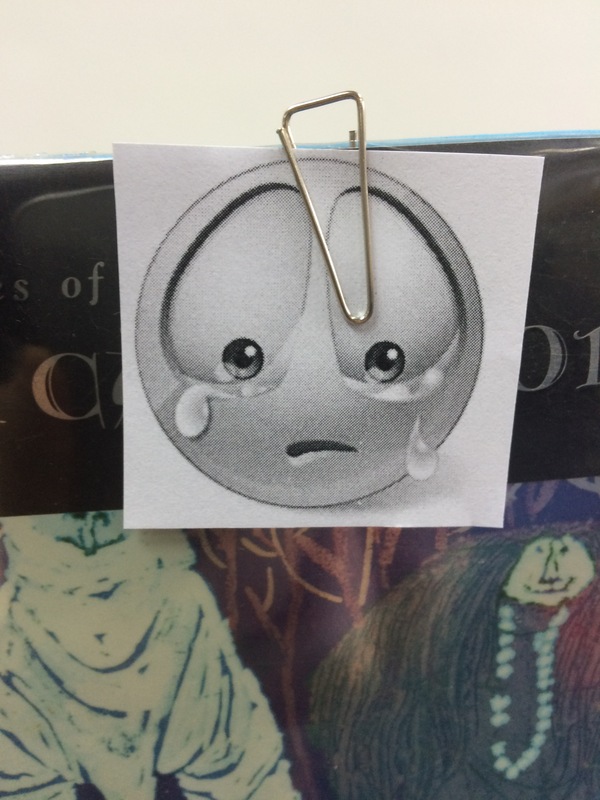 The process was repeated for the picture books – but how to get young kids to identify the books and not have them lying on my desk or one of the few tables in the library – and that’s when I decided a little sad face paper clipped onto the book could do the trick. And it did! You would have thought I’d put abandoned puppies free to a good home on display! My staff and I started on a Monday morning and by Tuesday all the books had found a home. So we continued with Junior Fiction and Fiction – with the same response, albeit a little more mature. My older students gasped that award winning books hadn’t been borrowed. They took up the challenge of taking a risk with a book or author they hadn’t tried yet. These books haven’t flown off the shelves at quite such a fast pace, and there are more of them – particularly in the fiction section. At that age students have become more selective and seem to be getting settled in their tastes. Some have reported back that they’ve enjoyed the “new” books. I’m working through some of the titles myself so I can book talk them as well. So here are some captioned photos of how the space has evolved over the last two weeks and what we’ve been up to. Stacks of books pulled out quickly as my G6 students did their 3 minute booktalk before their Information Literacy classes. It has taken me a while to find your blog ( you are not surprised are you! ) but now that I have it has been very interesting reading about your library work. Lots of things to like but the one that struck me as a particularly brilliant idea to steal if I go back into schools is the sad face picture to get neglected books moving.